Characteristics: These puff out slightly in the center measuring about 3mm thick in the middle. 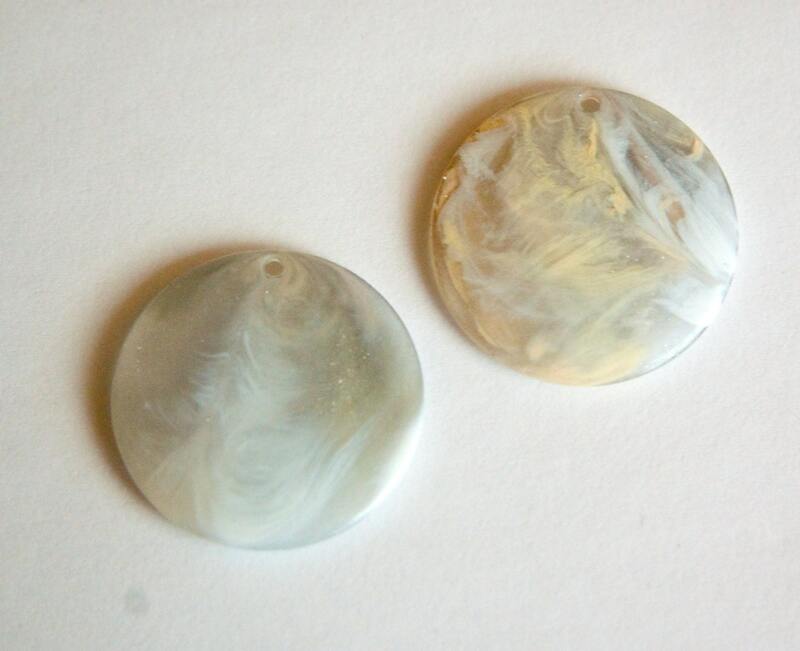 Color: Clear base with a shimmery gray, white and peachy yellow marbling. Additional Information: The amount of color and marbling varies from piece to piece. No two are identical.